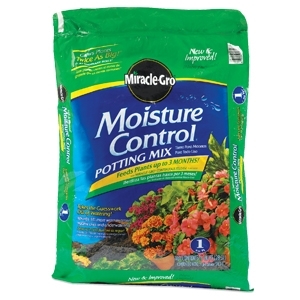 Miracle-Gro potting mix contains AquaCoir, an exclusive blend of coconut fibers and sphagnum peat moss that releases water slowly to help reduce plant stress. Helps to promote an excellent growing environment by protecting plants against the effects of under and over watering. Contains Miracle-Gro continuous release plant food to feed up to 6 months.